Report by Badal Tah; Rayagada, December 2: District Legal Services Authority(DLSA) in Rayagada took lead in organizing a convention to make the people aware about the dreaded disease Acquired Immuno Deficiency Syndrome(AIDS), which had started to spread its tentacles at a menacing speed in and around Rayagada. There are five Integrated Counseling & Testing Centres(ICTC) each at Sub-Divisional Headquarters Hospital, Gunupur, Rayagada, ESI Hospital, J.K.Pur, Muniguda & two at District Headquarters Hospital, Rayagada. Since the establishment of these ICTCs, 104835 persons have been tested out of 146607 persons, who were counseled. Out of the testing, 874 persons are found to be positive. Till last end of October 155 persons have died. Similarly, in the Antiretroviral Therapy(ART) centre in Rayagada, number of Persons living with HIV(PLHIV) & on ART is 182 out of 232 who have registered in HIV care. Cumulative number of PLHIV reported died till end of October 2017 is 21. With this magnitude, it makes Rayagada district more vulnerable as it is situated in between Ganjam which stands first and Koraput which is second in the context of prevalence of AIDS. To disseminate the knowledge and myths of HIV/AIDS regarding its prevention, transmission and treatment a massive awareness camp was held under the aegis of District Legal Services Authority(DLSA), Rayagada near Jeypore Sugar Company(Jesco), Rayagada. The convention was chaired by Dr.M.I.Nabi, Chief Judicial Magistrate as Chief Guest. Other dignitaries included Dr.Indu Sharma, Registrar, Civil Court, Sucharita Mohanty, S.D.J.M., Dr.Shakti Mohanty, Additional District Medical Officer, Sri Santanu Mohanty, Deputy Superintendent of Police, Sri Samuel Tandi, Advocate and scores of youth leaders. 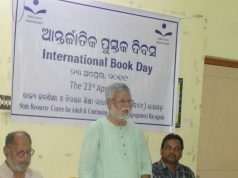 Sri Hrusikesh Sahoo, Secretary, DLSA moderated the entire proceedings. The speakers harped on the issues of rights of the PLHIV, their proper medical facilities as a matter of entitlement, stigma free life and rehabilitative measures. They also laid stress on mandatory screening of HIV among would-be mothers, facilities available at DHH, Rayagada, role of ICTC, distribution of free retro vital drugs, use of sterilized needles & tested bloods. All the speakers were of unanimous view about the prevention as better measure than cure and with a concerted effort, this monstrous disease can be wiped out from Rayagada. 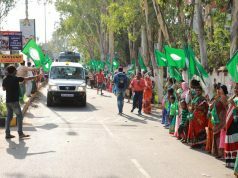 Especially the youths of Rayagada can show the way. 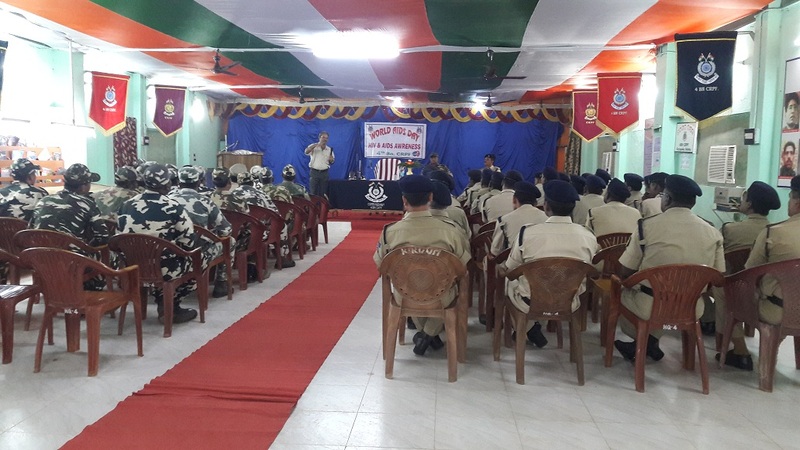 Similarly, the fourth battalion, CRPF, Rayagada observed World AIDS Day in its campus where Sri Manoj Kumar Sicon, 2nd-in-Command, Dr Haramohan Panda, Medical Officer, DHH, Rayagada and Sri S K Purohit, D/C, Office of DIGP, Sambalpur, Tac Hqr at Rayagada addressed all jawans present. 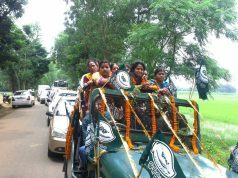 There was also a rally held under the leadership of CDMO, Rayagada where many college students participated. This culminated with a seminar in DHH, Rayagada which was chaired by Mrs.Guha Punam Tapas Kumar, Collector, Rayagada.